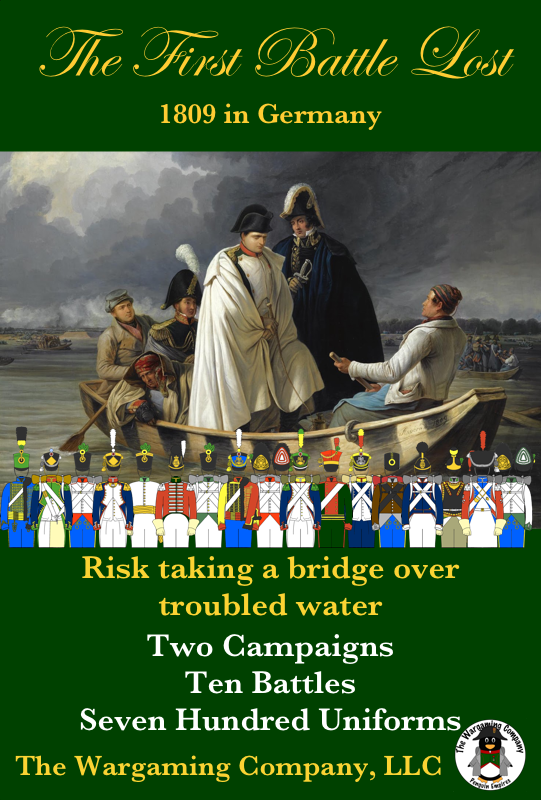 Our fourth Napoleonic Campaign Guide: The First Battle Lost, 1809 in Germany is in-stock and now shipping. Pre-orders are already in the mail and new orders are now generally shipping same-day! Compatible with nearly any Napoleonic tabletop ruleset and free convention delivery to those events we attend. Got an email that my per-order is on the way. Can't wait. Will Magister Militum have these at Salute? Honestly, not sure, their shipment is in transit but I do not know if it will arrive in time, our fingers are collectively crossed. They do have stock of our other titles covering 1805, 1812, and 1813 – so if you would like to see what the books are like in person before you order one, they will certainly be able to help you with that. The thing that's putting me off get these books is the price, works out at £46.81 GBP +p+p making them a bit pricey. Well, considering what they encompass (I've seen them all, but only own two so far – eventually I'll get all of them) . . . clear, colorful scenario maps with OBs and GM/player briefings plus hundreds of uniform plates – a virtual one-stop-shop of data for an entire campaign in a single volume – I'd call the price reasonable. Well, based on that, I'll give them a second look! ;) I hope to getting back to Napoleonics (probably 1809) again this year.